Once upon several gins, Gin Tales creator Fiona found it a little crazy that her beloved spirit was being drowned in unnatural ingredients in order to obtain flavour. 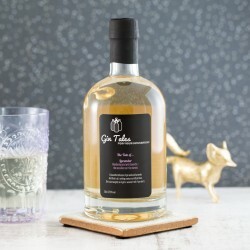 So she started Gin Tales as an experiment with friends and family, creating a wonderful new selection of gins, infused with only natural flavours. From their little workshop in Islington they are producing beautiful infused gin using only fresh, natural ingredients, and real fruit - no added chemicals, sugar or other weird stuff that doesn't belong in your drink. 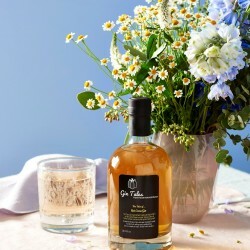 The Telegraph featured their Hot Cross Gin, "an adult twist on an Easter favourite." Also featured on ITV's This Morning and Channel 5's The Saturday Show. And in The Daily Mail, Stylist, The Metro, and Brides Magazine.